Happy Monday! It's officially summer in my house. Anna Li finished school on Thursday. This weekend we had some lazy family time and it was so much fun. And it felt great for her and me to slow down. Not that we're not busy with her swim schedule, work, volunteer swim coaching, and ACT prep course. There's a lot of driving. But it feels so much more relaxed. Before I get to my awesome interview, I have a few winners to announce. The winner of HANDBOOK FOR DRAGONSLAYERS is Neurotic Workaholic! The winner of THE TOWN THAT DISAPPEARED is Kristin Lenz! 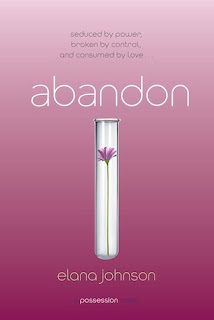 Today I’m thrilled to have Elana Johnson back to talk about her new book, ABANDON, which was released June 4, 2013. Elana is an amazing writer and she blew me away again in this final book in her series. 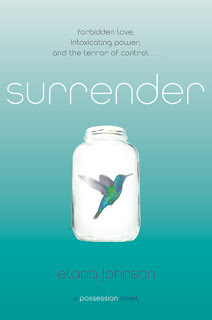 I was worried she couldn’t top SURRENDER, where she told the story from Raine’s and Gunner’s point of view. I just assumed that ABANDON would be from Vi’s point of view. But no, Elana makes the amazing decision of telling the story from Jag’s and Zenn’s views. And it was brilliant! I loved the fast paced story telling of what the resistance is doing to resist the Thinkers and free their world and Jag’s and Zenn’s place in it. And all my favorite characters—Vi, Raine, and Gunner are there too. I can’t recommend this enough. If you want to read about Elana’s debut as an author, you can read my interview HERE. And if you want to read my interview with her last year SURRENDER came out, you can find it HERE. Hi Elana. Thanks so much for joining us. 1. For those who haven’t started your series, tell us about it. Possession kicks off the series in the Goodgrounds, where Vi is sick of the Thinkers telling her what to do. That book basically explores free choice, and who—if anyone—should be making our choices for us. The series continues to explore the idea of free choice, and the role of government, and basically the whole series comes down to one question, which Zenn asks himself repeatedly in ABANDON: Free of functioning? 2. I so love where you’ve taken this series. What made you make the brilliant decision to tell the story from Jag’s and Zenn’s point of view in ABANDON? one who has more to lose than Jag—except maybe Zenn. So I used them both! you switched POV characters again. I know you don’t like outlining from reading your blog. And you’ve said that you didn’t outline this series. In retrospect, what do you wish you would have done differently and what advice do you have for the rest of us who don’t outline (like me) but want to write a trilogy and set it up right? You know this is a really hard question, because I didn’t know any different from what I did. I have some planned trilogies in the works, and honestly they’re all just as vague in my head as the Possession series was. I do think it’s a good idea to have a starting and ending point for your series, and other than that, the best thing I’ve done is read trilogies. I’ve figured out what goes in the first book, the second, and the third, and I try to do that. 4. Phew! I’m glad I don’t have to outline. Those are great ideas, especially to know the end of the story. You’ve described your road as a published author as a rollercoaster. 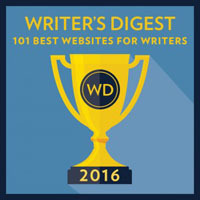 What have been some of the highs as a published author? Selling books, launch events, and seeing your covers for the first time are definitely the peaks! 5. And what have been some of the lows and how did you handle them? There’s no end to the lows, because you can literally take every single thing that happens and look at it negatively. There’s something unique about the publishing industry that makes you feel like a failure when there is only success. It’s very strange. I deal with lows like this by getting off the Internet. It truly is a source of great things, but it can also bring on some severe anxiety and depression if I let it. So I don’t let it. I focus on my writing, and my family, and I ignore everything else. It’s how I’ve survived. 6. 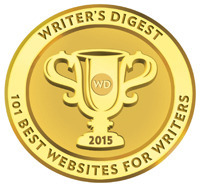 I think you’re right that for most of us the doubts and pressures don’t go away because we get a publishing contract. Your whole approach to marketing your books has changed when each book has come out. When POSSESSION came out, you were everywhere on the Internet. You did a quieter blog tour last year and this year you’re doing a big scavenger hunt. Share a bit about why your approach to online marketing has changed over the years. What would you do differently in marketing book 1 and 2 if you could do it again? Honestly, I’m not sure the online stuff translates to sales at all. I do most of what I do because I like it. I wanted a map for my series, and in order to justify asking someone to draw me a map, I needed to have a way to use it. Thus, the scavenger hunt idea was born for this year. I do think things change online at an alarming rate. Back when Possession came out, live chats and twitter giveaways and such were new. It was a good way to get your name out there. Now, though, I think those things are overdone, and only create noise. So for me, it’s about doing things I like, and also trying to find something that not everyone and their dog has already done. Neither of which may happen, but you know. 7. I agree that it’s important to not overdue it. Like you say, it’s hard to find anything unique. 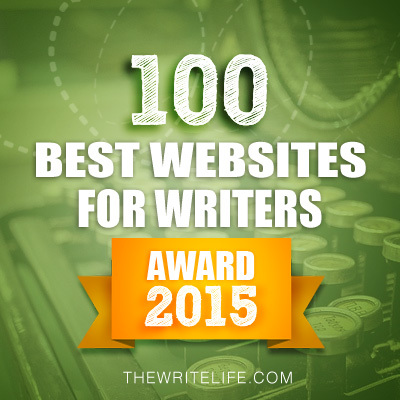 I like your focus on book review blogs and how you’ve linked your stops with prizes. Your approach to your social networking platform has also changed over the years. You’re not as present with the blogging community and don’t blog as often as you used to. What’s your focus now on social networking and why has your focus changed? I just don’t have the same drive, honestly. It takes an extraordinary amount of time to visit blogs and leave comments, and I find that while I used to have a lot to say, I don’t really anymore. So it’s a natural progression, I think, for my blog activity to be slower than it once was. 8. Good advice to stick what you like. And yeah, the visiting blogs does take a lot of time, though I really like all the blog friends I’ve made. What’s your advice to aspiring authors looking at having their first book being released as to developing their social networking platform and what they should do to market their book online? This is not as easy to answer as it once was. Like I said, the blogosphere and the online promotions didn’t used to be as loud as they are now. There are literally hundreds of thousands of books coming out each year, and I think the key to marketing is doing something that not very many other people are doing. The problem? No one quite knows what that thing is until it’s been done. I think my best advice to aspiring authors with their first book coming out is to focus on the writing. Social media and promotions can become a full-time job if you let it. And really, it should be about producing another high-quality novel. 9. Yes, I need to focus on the writing more and social networking less. Thanks for saying that’s okay. I know you’re starting a new service to help people with their queries and to organize their blog tours. Tell us a bit about it and how you’ve connected with book review bloggers for this new venture. Do you have any book review blogs that you recommend we follow? Building a relationship with someone online takes a very long time. 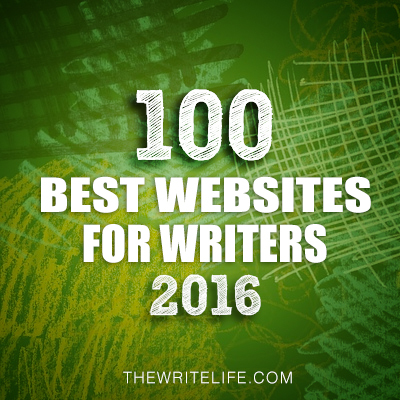 I spent years and years actively blogging, building relationships with other authors. Once my book came out, I did the same thing with book bloggers. I read their posts, commented, followed them on twitter, and conversed with them. Some blogs you should be following? Every one of the amazing book bloggers hosting me on my scavenger hunt! (link to: http://elanajohnson.blogspot.com/p/scavenger-hunt.html) That’s 60 of the BEST right there! I am currently working on a young adult fantasy that I hope to be submitting soon. I absolutely love it, so I hope someone will pick it up and readers will get the chance to love it too! Elana’s publisher Simon Pulse has offered a fabulous giveaway—a copy of POSSESSION, SURRENDER, and ABANDON for a giveaway. So I’ll pick three winners. To enter, all you need to do is be a follower (just click the follow button if you’re not a follower) and leave a comment by midnight on July 6th. Please let me know where you are in the series and I’ll try to match the winner to the book, but no guarantees. I’ll announce the winner on July 8th. If you mention this contest on Twitter, Facebook, or your blog, mention this in the comments and I'll give you an extra entry. You must be 13 or older to enter. International entries are welcome, but I’ll pick no more than one international winner due to postage costs. Tomorrow I have a Tuesday tip from Rosanne Perry and giveaway of her new book, WRITTEN IN STONE, a story about the Native American tribes in the Pacific Northwest in the 1920’s. She’ll be sharing tips on how to write a multicultural story. Then I’m on a vacation and blog break until July 2nd. I’m excited to go to my nephew’s wedding. I’ve known him since he was a baby. I’ll be blogging a little bit less over the summer. I know it gets quieter in the blog world during the summer as people spend more time with their families and go on vacations. I’m looking forward to slowing down a bit too and hopefully writing more. 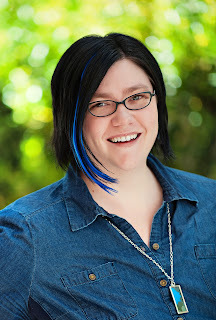 Interview on July 8th with debut author Melanie Crowder and ARC giveaway of PARCHED, a middle grade apocalyptic novel about a world with hardly any water with a touch of magical realism. I found the whole idea of such a world fascinating. I really enjoyed this interview, although I tried to read it carefully since I haven't yet read the series! I think there's a lot of truth in what she says. I enjoy some online activities but can see how they eat up a lot of time. Good luck to Elana on the publication of this book! I just absolutely love this series. I feel like I've been waiting for Abandon for SO long. I cannot wait to get my copy and finish this fabulous series. I'm so excited I'm even nervous about it!! Great interview. I love the info about social media. Thank you! I've been reading about this series but haven't started it yet so I'd love to win book #1. Elana is the best! I still think Jag Barque is one of the best named character in YA lit - ever. Ooh, ooh, me! Pick me! =) The series is on my TBR list, (the list that never ends,) and I can't wait to get into them! I read the first chapter of book one a couple years ago, and it's still rattling around my head. A girlfriend of mine loves novels that tackle different kind of government views so I forwarded this post straight over to her. I don’t think she’s read your series yet and I know she would LOVE it! But as usual I've also included this on my blog. I love Elana's series, and her online presence overall. Like you and Casey, she was one of my inspirations as I started blogging. But I have to agree with her about platform. When I started blogging, it was because I was exploring things in my writing and writing about what I was learning was my way of cementing that lesson. 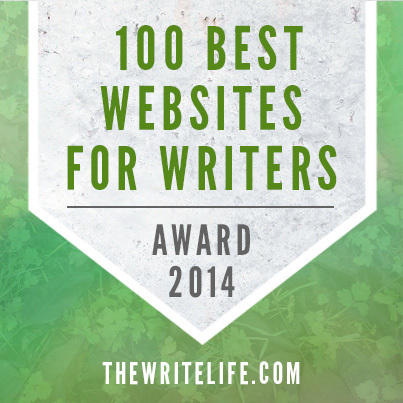 I still want to reach out to other writers, and I try to do that every chance I get, but I am more about celebrating readers and authors on the blog right now. That's my own personal evolution, and it may not be right for anyone else, but I think life is too short to keep doing things we don't love or don't have time to do. I love leaving comments on other blogs and discovering new blogs and new writers, but when I'm pressed for time, that's the first thing that has to go. I am trying to learn not to feel guilty about that. I am so glad you are loving your WIP, Elana!!!!! And thanks for sharing this interview, Natalie! There are so many truths in this interview that I had to read it again. Thanks for the interview Elana and Natalie. There are several nuggets of knowledge here for me to chew on. Though I am sad to see this particular thrillogy (thirlling trilogy) come to an end, I'm glad to hear Elana's working on something new that I can sink my teeth into. I do love a good fantasy novel. I've loved this series! I can't wait to finish it. Huge congrats to Elana! I look forward to reading her take on fantasy. 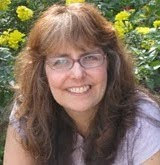 Elana's blog was one of the first I discovered a couple years ago - maybe because of Literary Rambles - and Elana has always been very generous. Congrats on the conclusion of the trilogy. Natalie - enjoy your vacation! Great interview! Elana has a lot of great advice about social media, querying and well, everything! I haven't read any of the series yet so put me down for book one! Great interview! Loved Elana's insights on choosing POV and balancing social media with writing time. Thanks for this interview, and to Elana for the candid insights and wise words. I've got to start this series! I love that explores the idea of free choice! Elana's answers are very interesting considering I was inspired to get into blogging and other social networking by her and the other querytracker folks. Definitely some insight to chew over and think about. I have the first book, but not the other two. I need to start this series! I want the first book, please! I have the first two books and I hope to get book 3. Social media certainly has changed these past few years. I've noticed other bloggers cutting back. It does take a lot of time to be active and responsive. I've read and loved the first two books. Abandon is on my list so I'd love to win it. Just a belated thank you about the book! For some reason I couldn't find your blog in my reader; blogger's been working against me lately. I'm looking forward to reading it! Great interview! I have only read the first book so far. I love love loved the first book, and can't wait to read the other two! Great interview! 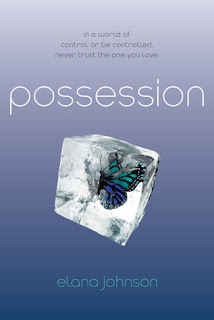 I'm currently reading Possession right now! I haven't started the series, but want to now that it's complete. Another fabulous interview. I particularly liked Elana sharing what works for her, publicity/online wise, and how she's changed as the trends have changed.